We are pleased that Idencia was chosen as the service to capture and host this information. 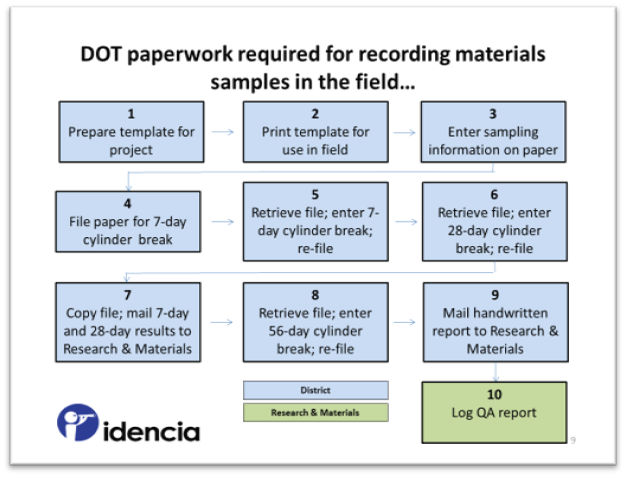 In fact, this was the second of three tunnel projects (so far) that chose Idencia to digitize its product information. 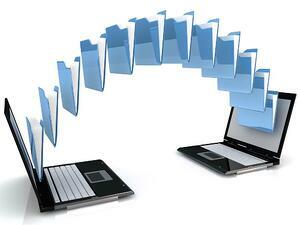 So, we feel we have a pretty good perspective as to why tunnel projects are requiring digital product records. The cost of the service can be allocated to the project cost while the DOT uses the system for its own internal efficiency. This is quite attractive to DOTs facing shrinking operating budgets. In addition to saving time, reducing the number of people required and minimizing the cost of purchasing and storing paper, digital records enable the DOT to perform analytics and transfer information easily. And this is all funded out of the capital cost of the project instead of the DOT's operating budget. Digital records enable cost efficiency in manufacturing and construction as well. The complex nature of tunnel construction can make inventory management a highly inefficient process. Digital records address this. For instance, organizing the segments for each ring in the laydown yard (or the manufacturer's yard) can be logistically challenging and result in time delays. With each segment serialized by an RFID tag, the contractor can simplify the organizing process by scanning a piece and instantly identifying the ring in which it is to be placed. Additionally, the records for each segment can be associated with its ring, so information retrieval is much simpler and more effective. Unfortunately, accidents happen and analysis needs to be undertaken to determine the cause. In 2006, a ceiling panel fell out of the Fort Point Channel Tunnel in Boston. More recently, a pedestrian bridge at Florida International University collapsed while under in construction in March 2018. Serializing each product used in the project and retaining digital records can make forensic analysis much quicker and more effective, both critical factors in times of emergency. Equally as important, digital data enables project managers to perform better predictive analysis that can prevent accidents from happening. If you would like to discuss how Idencia can make your infrastructure project more efficient, please contact us by clicking below.